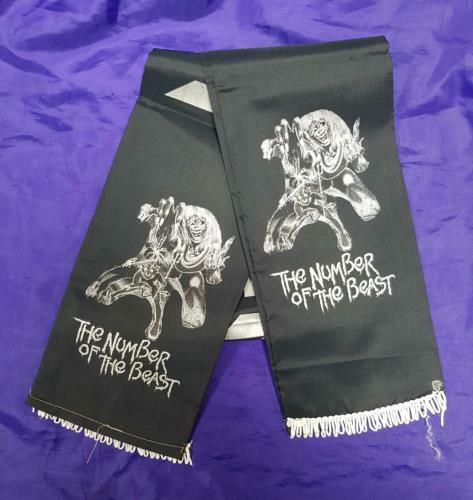 IRON MAIDEN The Number Of The Beast (Rare 1982 UK black satin effect scarf, printed on both sides with the band name along the length with the Eddie & Devil image from the album artwork by Derek Riggs at either end along with the album title text, all printed in silver, and has white tassels at each end. 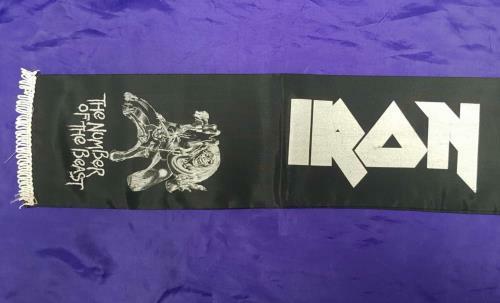 For an item over thirty five years old, this shows very little signs of age with only a little light general wear and has been stored folded for many years. 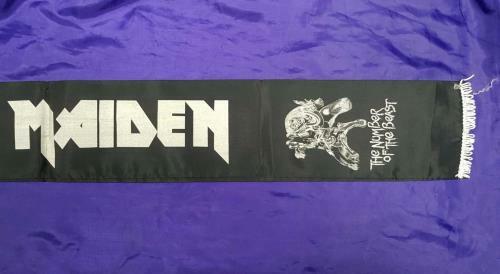 A fantastic example, the first we have ever seen and must have for any Maiden collection).